The much awaited “social survival” strategy game Frostpunk will be coming to PS4 and Xbox One this Summer, 11 Bit Studios announced. Fans who are fond of the strategy game genre should look forward to Frostpunk when it launches this Summer. 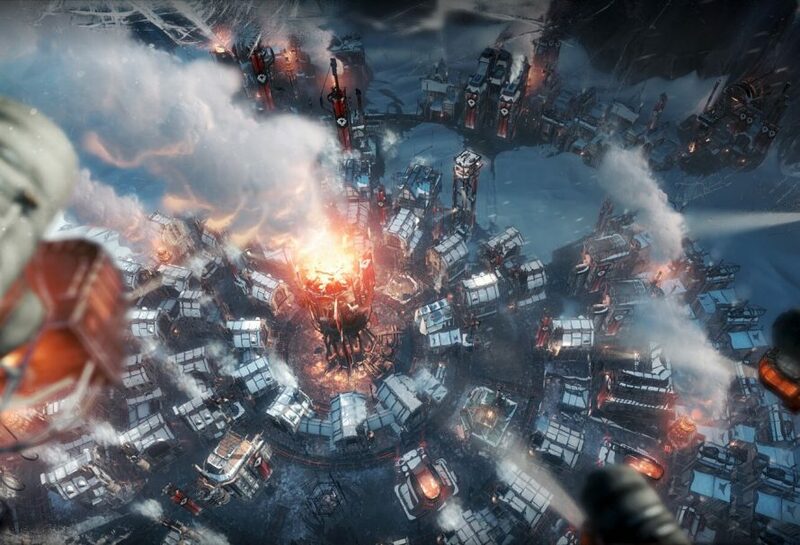 One of the new features of the game is the Endless mode that offers new maps, game modes, mechanics that allow you to dive into the Frostpunk experience deeper than ever before. Frostpunk tells a story of XIX-century industrial revolution, where for unknown reasons, the planet goes into an extreme ice age, bringing destructive winters, and eventual collapse of civilization. As the planet is at the brink of destruction, your role is to lead a group of survivors – possibly the only remnants of British Empire in a Victorian era. Command your team to form a society that adapts to unforgiving conditions and your vision is to create a new civilization. Frostpunk: Console Edition is a society survival game where heat means life and every decision comes at a price. Presenting complex strategic gameplay, demanding challenges and rich story, Frostpunk extends its unmatched survival experience to consoles. Adapted for consoles with revised controls and adjusted mechanics, Frostpunk: Console Edition allows you to fully test your tactical prowess on the frozen wastelands. A gritty simulation of society survival in a frozen post-apocalypse, the Bafta-nominated Frostpunk was a bestseller of 2018 and multiple award winner in its genre. Frostpunk: Console Edition is a finely tuned adaptation of the PC hit that will be making its way to Xbox One and PlayStation 4 later this year. Maintain Hope – Survival is about hope and the will to live. Your ability to spark and maintain these two in your people will be a determinant factor for success. Make the Law – Society is a group of people abiding by the same rules and sharing similar beliefs. Establishing laws and customs will be a crucial factor in shaping your society. Weigh Your Choices – Will you allow child-labor? How will you treat the sick and wounded? Frostpunk challenges tactical skills while questioning your morality. Explore – Expeditions, while risky, can bring you valuable intel, precious supplies and grow your society’s population. There may be people out there, and their fate lies solely in your hands. Play Endlessly – Endless Mode offers new maps, game modes, mechanics, and allows you to dive into the Frostpunk experience deeper than ever before.